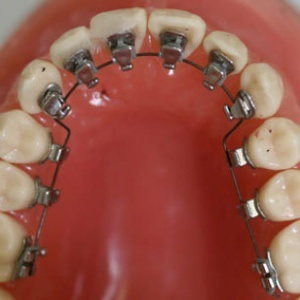 Lingual braces are attached to the back side of the teeth which makes them invisible. They were designed for adults who want to pursue orthodontic treatment without letting others know they are wearing braces. Because lingual brackets are attached to the backs of the teeth which have a unique shape, they need to be “custom-made” by a laboratory. Dr. Gupton has been on the tack force of the orthodontic company which makes lingual braces for over twenty years and was a founding member of the American Lingual Orthodontic Association.